The human body is not designed to be sedentary. In this modern era of technology more and more manual jobs are being taking over by machinery and so individuals are sitting either at a desk or operating a machine. Couple this with poor sitting posture and you then increase the likelihood of developing a back problem. There is no one answer that fits all but in general some form of exercise can prevent the development of back pain. 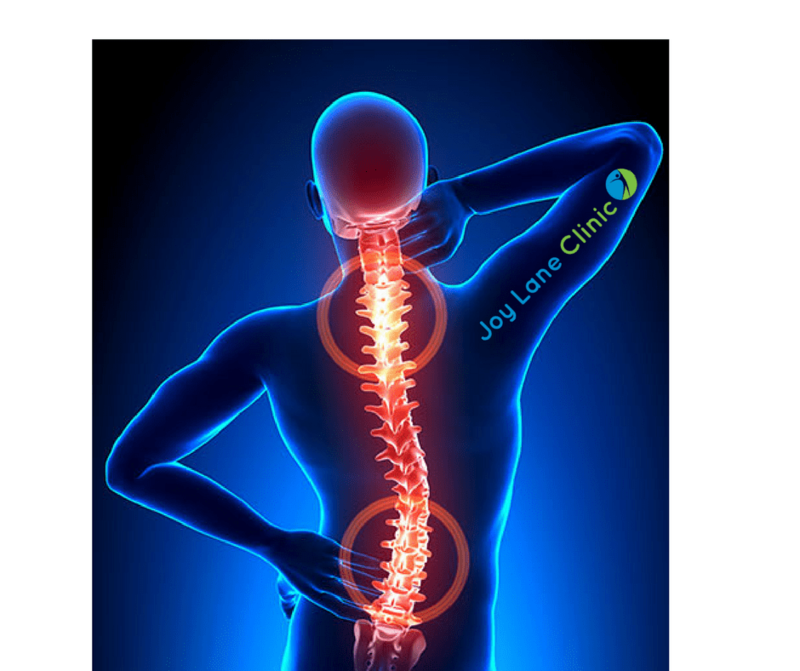 At Joy Lane Clinic we see people from all walks of life and various age ranges. The majority of people have relief after 2 to 3 treatments but recently we have seen a few patients who we have seen over the years who have an issue which is not resolving like it had in the past. We have devised an exercise plan for them and this we are finding is making a huge difference. The exercise plans are tailored to both the patient’s needs but also to the type of exercise they like to do. For example there is no point giving a person a gym based weight training program if they do not want to lift weights. However they may like to swim and so swimming would be an option as well as some basic core exercises to do at home. "I just wanted to say thank you so much for fixing my back/hip. The four flights (total 24 hours in the air) were a breeze and my back has not felt this good for some years! Many, many thanks!!" "Hi Charlie, thanks very much for seeing me this morning, it's the best £45.00 I have ever spent!!" "Lloyd, I just wanted to say what a great job you done on my back and neck today, I have tried 10 osteopaths/chiropractors in the last ten years and none of them have achieved the results you have in one visit. Thank you again. " "Thank you very much for seeing me last Friday. I don’t know what you did but it worked wonders. The pain had gone by Saturday morning and has not returned. Very many thanks." "Dear Charlie, thank you so much! You gave me instant relief from my crippling back pain and have sorted out my long-term knee problems. I am very grateful, thank you! You have a very special talent." "You will be pleased to know that the shoulder is cured!!! Thank you so much. I have been recommending you to all my friends. Many thanks." "I am emailing to say how delighted I was when, after weeks of pain and restricted movement with a frozen shoulder, I had immediate relief after you administered a cortisone injection. 3 weeks on and my shoulder and arm are moving freely with no pain or stiffness. I can't thank you enough." "Can I just say thanks for all the treatment by yourself and company and I can't say enough about Charmaine! She has been fantastic! She give me great treatment, very professional and educates me along the way." I attended the clinic at Whitstable on 15/9/2018 and had a consultation and treatment from Daniel. Less than a week later my long standing back issue is resolved completely. I cannot express my thanks enough for your care and attention. I have and will continue to recommend you highly. You are brilliant! I am able to do some of the lovely walks thanks to your help. "Charlie seems to work wonders every time I see him, usually I will limp in struggling to walk and within 2 or 3 sessions I am back to full training. Charlie always gives a quick diagnosis and helps alter my training schedule for my rehabilitation." Joy Lane Clinic, © 2019. Website by Greyhare Design.